Dining Chairs have always been the first choice when it comes to sitting around a table, however over the last few years as our interior confidence has grown, more and more of us are opting for the luxurious yet cosy Dining Bench. But there are so many choices and combinations and styles how do you choose the right combo for your home? Well, worry no more! 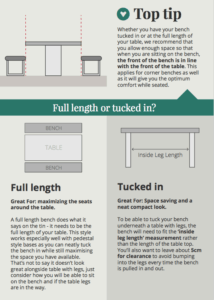 We have compiled a handy pocket guide with all the information you will ever need when it comes to selecting the perfect Dining Bench... 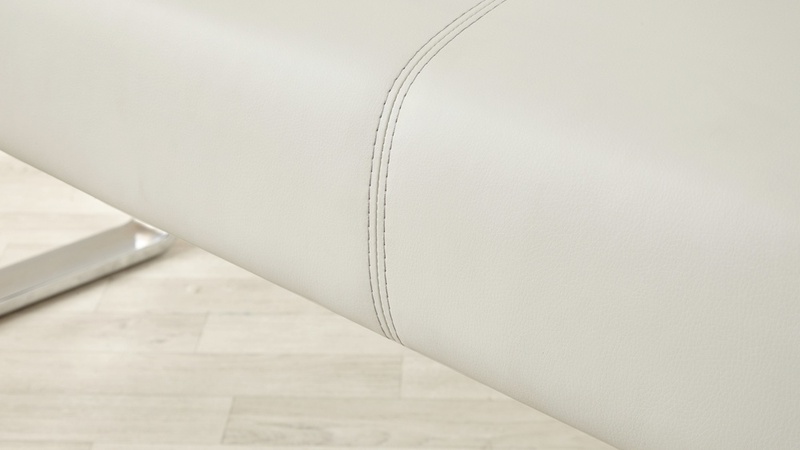 In this blog, we break down the most important factors to consider when buying a dining bench. Helping you to make your decision making a little easier. The first thing you need to consider is the look, style and size of your dining area. If you eat most of your meals in the kitchen and need space saving solutions, then it may be best to consider a corner bench or a straight bench. These will tuck neatly under your table. However if you want to spruce up your Dining room and have the luxury of space, then the bigger the better! 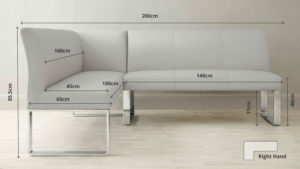 Before buying any dining bench or chair, you must know the size of your table. If you are in the market for a new table as well as seating then the world is your oyster! 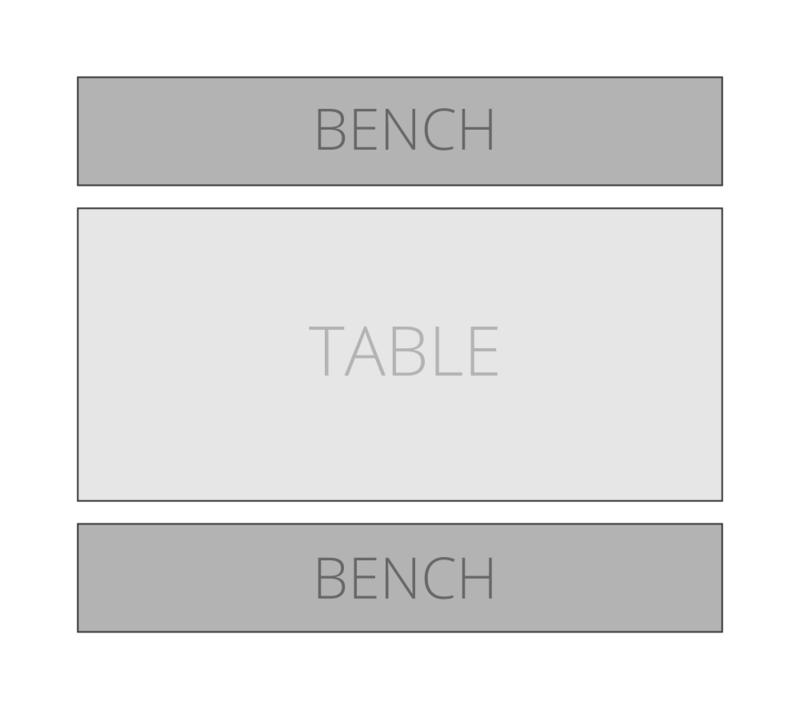 Meaning you can choose your table and bench size together! 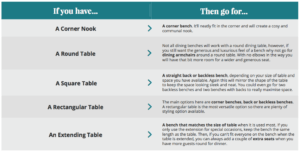 If you already have your table, then following the below tips will make things much simpler…. Start off by measuring the Height and Length of the table top. 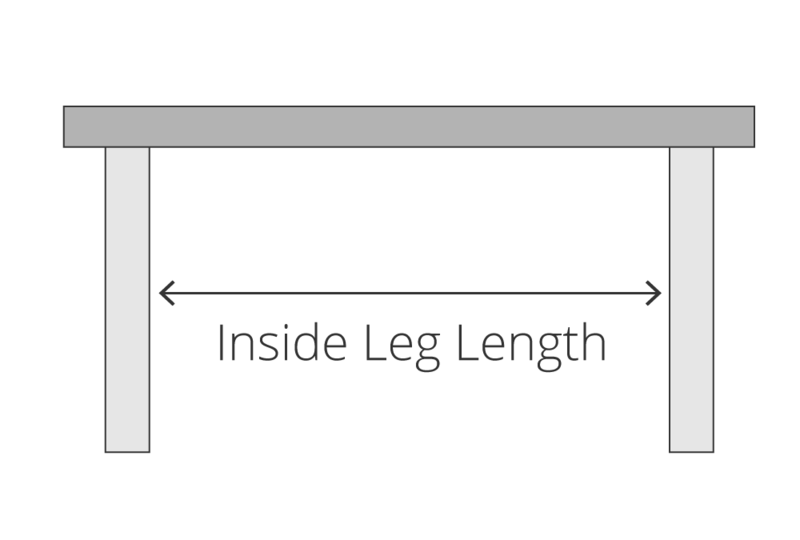 If you have an extending dining table then also measure at each length. 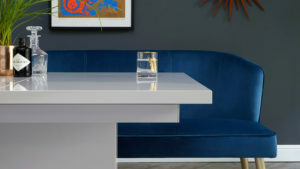 The Mellow Velvet Benches are great when paired with a pedestal table, such as the Sanza, as you are able to tuck them neatly under allowing you extra space in your dining room. 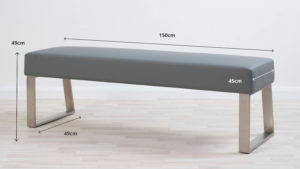 Now it is time to decide if you want to be able to tuck the bench under the table or use the full length of your table. If you are tight on space then we recommend measuring in between the legs. Make sure you're allowing about 10cm for clearance. 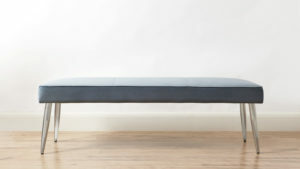 That way you can choose a bench that will tuck in neatly without knocking on any table legs. 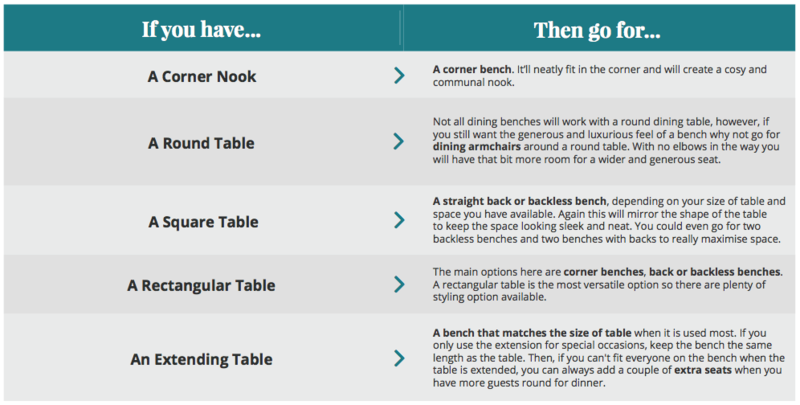 Once you have your table measurements you can start looking for your Dining Bench (exciting!). 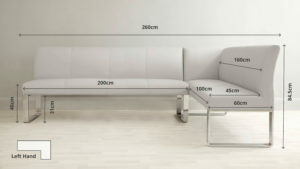 When deciding on a bench it is very important to check the size of the bench and cross-check to make sure it will sit perfectly around your table. 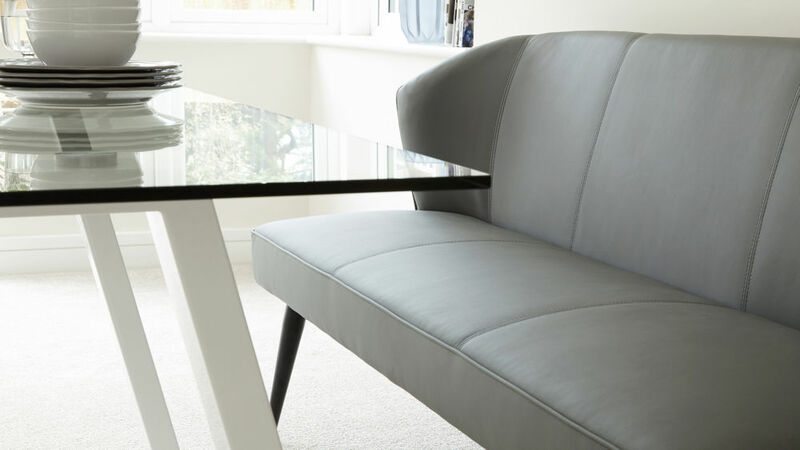 Corner Benches are designed mainly to suit tables with pedestal legs, such as our Sanza and Aria tables. That’s not to say they can’t work with tables with legs though! 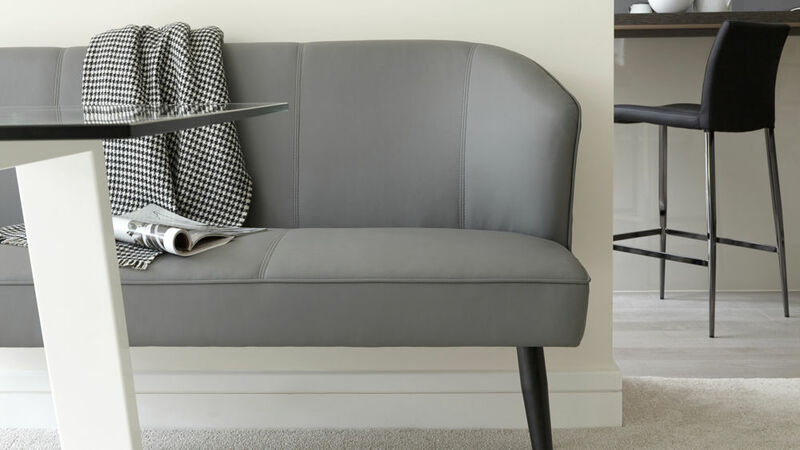 If choosing a Corner Bench, it's really important to consider your sizing to make sure you have enough space to fit around the table legs and sit comfortably. Our dining benches are available in both Left and Right handed options. Right Handed- Longer side is on the right. 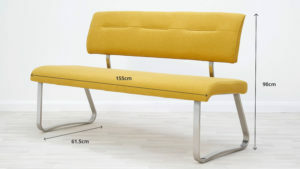 The above images show you the difference between the size of our 5 seater and 7 seater Loop Corner Benches. They're also a clear way to show a left handed bench against a right, making your corner bench shopping that little bit easier. 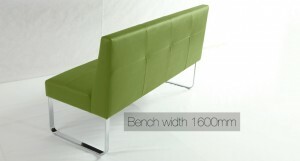 By choosing a bench with backrest you will create more visual impact and a style statement when walking into a room. 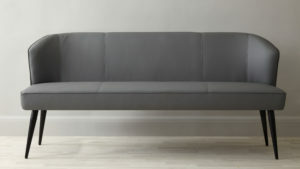 The backrest also offers more support when seated and is a great option to have full length for ultimate style points! Backless benches are great for opening up your dining area as without a back, they have less of a visual impact in the room. 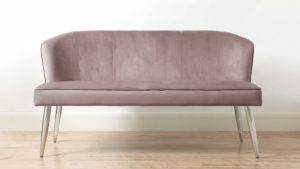 These are a space-saving style and can easily be tucked in or sit full length. 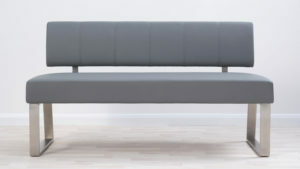 Without a backrest, the bench is also that little bit lighter and easier to manoeuvre. Pairing a backless bench with a bench with backrest is a great way to balance out your dining room while allowing maximum style points. 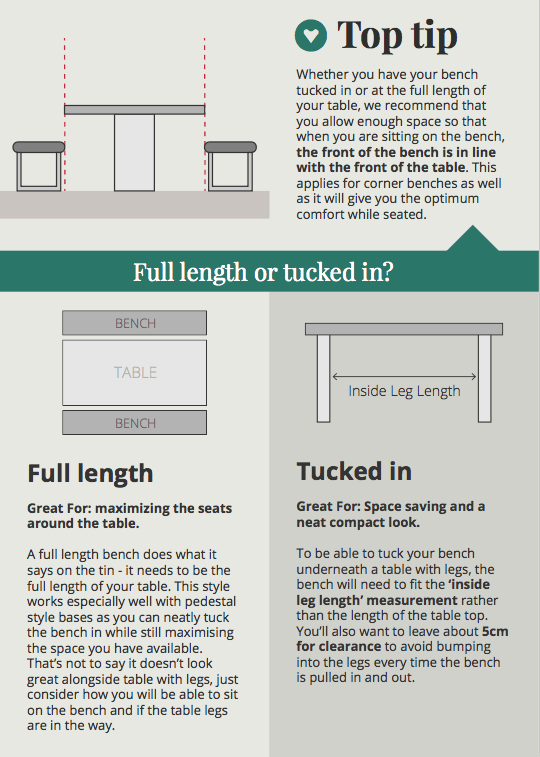 Measure - This is the most important thing to consider when choosing a Dining Bench. There’s nothing worse than receiving your brand new dining set to discover it doesn't fit in your ideal location! 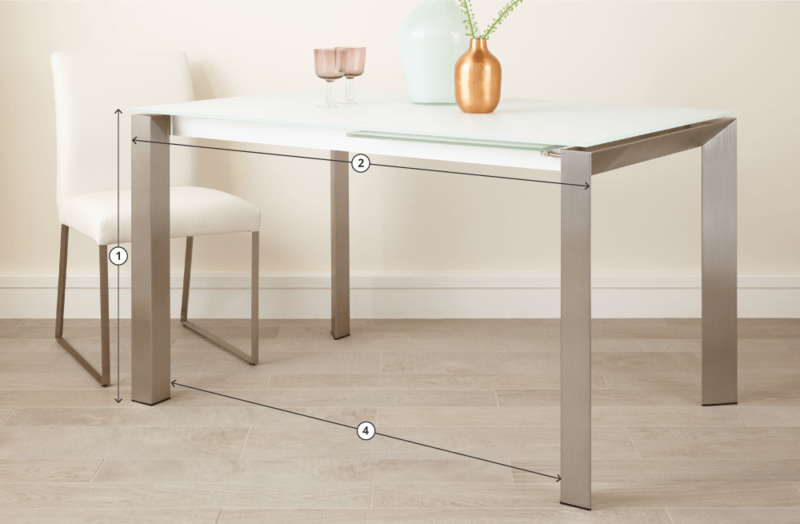 Save yourself the hassle by planning ahead and knowing measurements on your table, bench and also where it will sit. 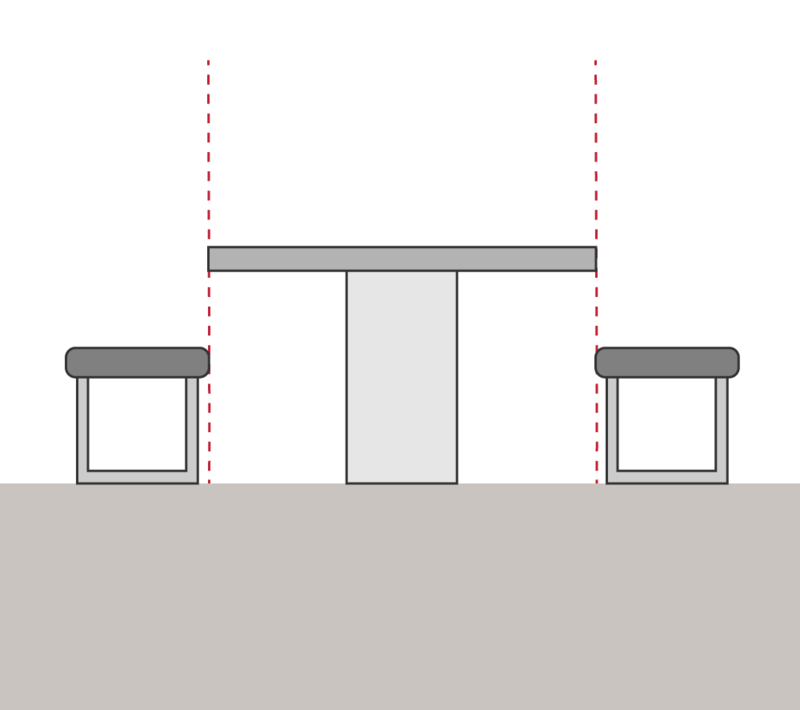 Location - Be sure about where your new dining bench will be positioned, and double check sizes. (honestly- this part is so important!) Just to make sure you have enough space. Deciding whether you have a corner nook or a spacious dining room will help make a more informed selection. 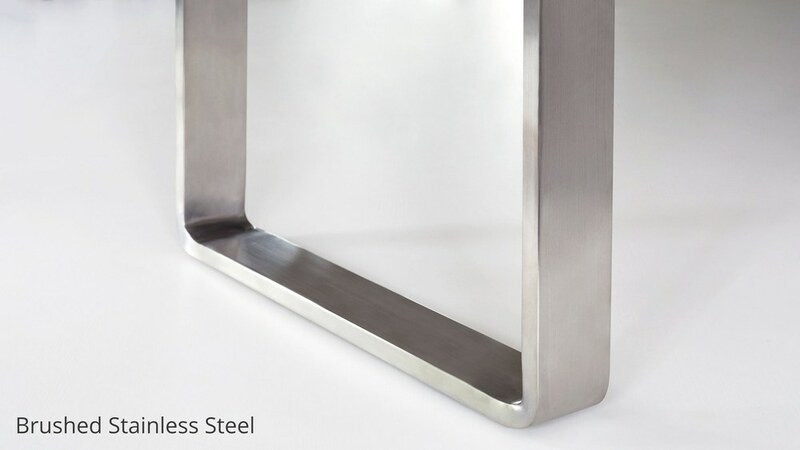 Table Style - Whether you have a round, square or rectangular table. 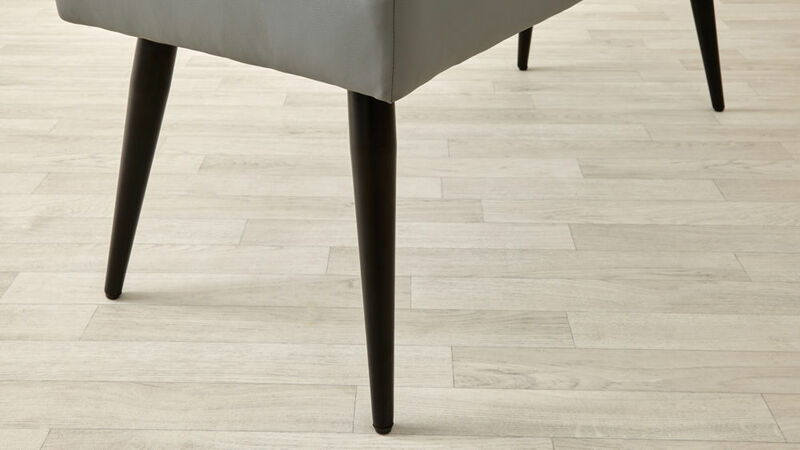 Extending or fixed, pedestal or legs, make sure you know what size it is and what look you are going for. Be sure on whether you want to tuck in your bench, keep full length. Perhaps you want to mix and match your Bench with Dining Chairs. 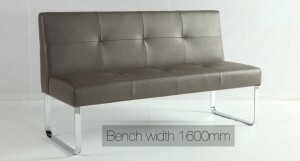 Bench Style - There are so many choices so explore all options and combinations to make sure you will maximise the space. All the while creating a beautiful and welcoming dining area! 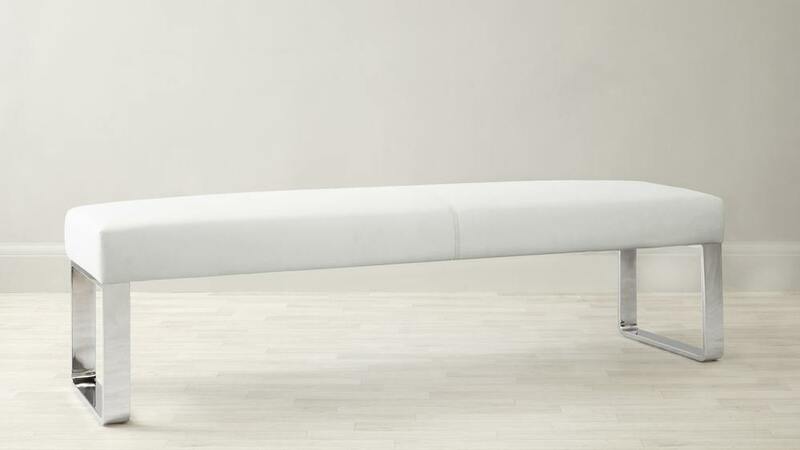 Remember, Backless Benches are lighter and easier to tuck under the table, whereas Benches with Backrest are more visually impactful and create a strong sense of style. 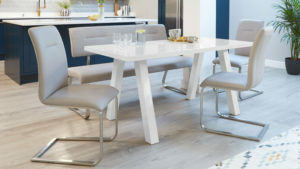 Log on - Now you know what look you're going for, get yourself onto danetti.com and explore our range of Dining Benches, Table and Chairs. Perfect for that effortlessly coordinated style. 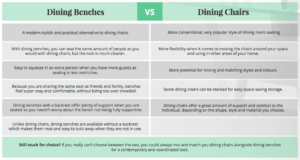 You can find our Dining Benches Pocket Guide right here, full of useful tips and guidance. 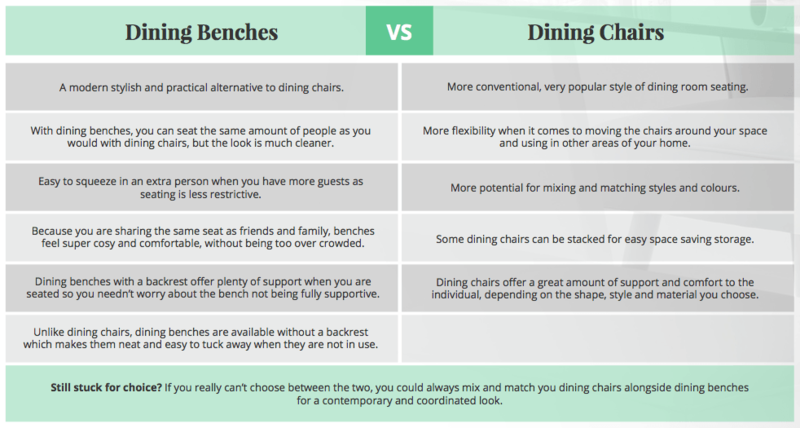 You will also find a very handy list of Perfect Pairings, where we've done all of the hard work for you and expertly matched benches and tables together. There are also lots of helpful pointers on cleaning your benches! I know, we're just too kind… Let us know which bench and table you have gone for, and don't forget to share your pictures with us on Instagram tagging @Danetti_com and using #Danetti. 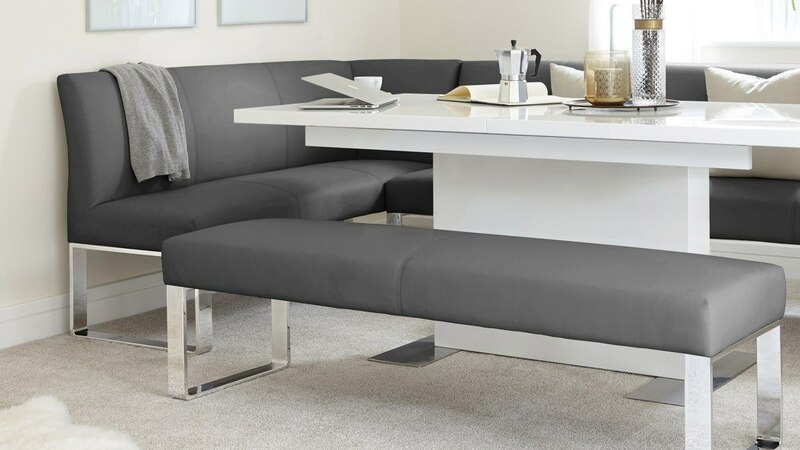 Upholstered Leather Dining Benches – Comfy, Versatile and Trendy! 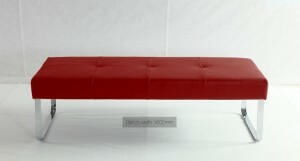 Our new range of upholstered Genoa Dining Benches are versatile, made to measure and very trendy! 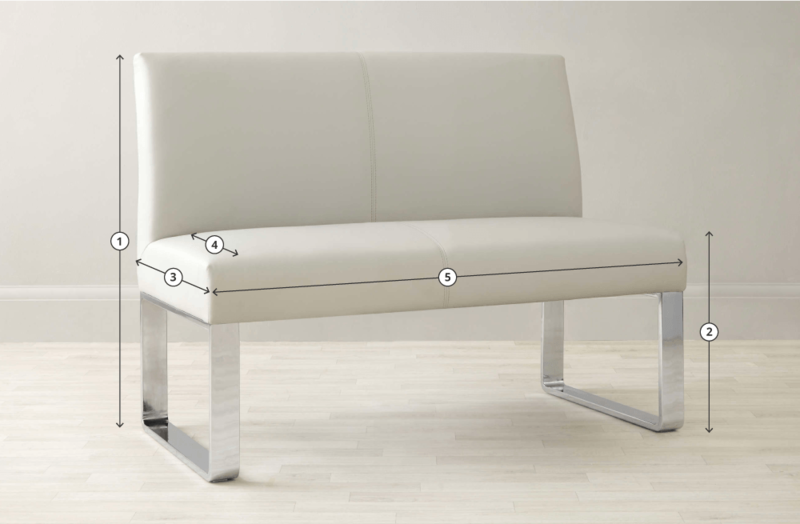 Available with or without a backrest, you can choose whether to have the loop legs in shiny chrome or brushed metal according to your existing decor. 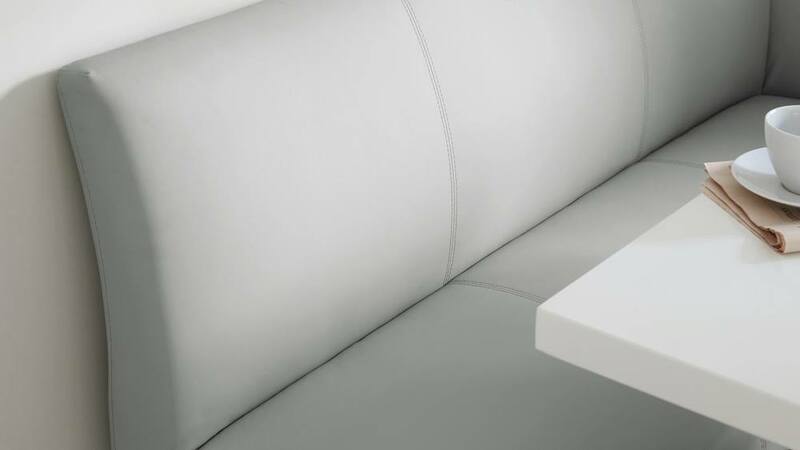 The well padded seats and backrests of these dining benches are upholstered in high density foam and covered in durable, soft faux leather. 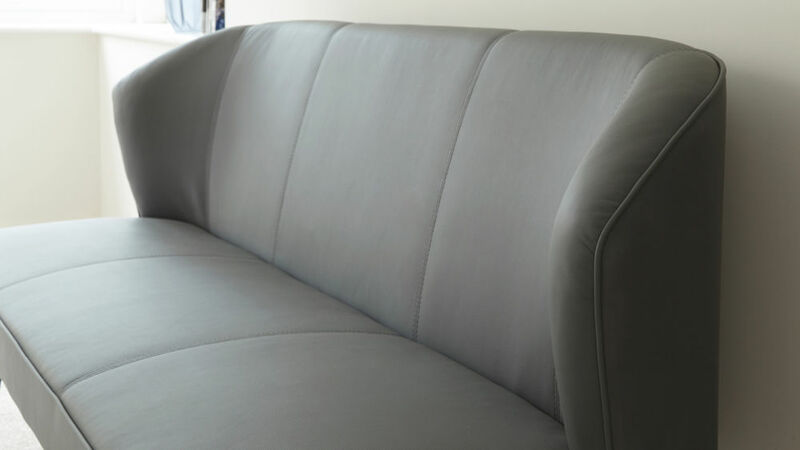 The seats and backrest are quilted to give attractive, eye-catching detail. The Genoa Dining Benches are available in a range of 10 modern colours: Soft Grey, Almond Beige, Breton Blue, Black, Fresh Lime, Cocoa Brown, Raspberry Red, Spicy Orange, Taupe and Polar White. They complement many types of table perfectly, including glass dining tables, high gloss tables, oak and walnut wooden tables. 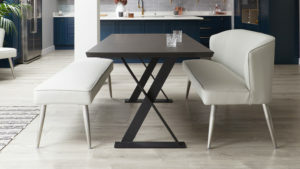 They are also ideal if you have an extending dining table as you can easily add some extra chairs at either end. If you are looking for a versatile and funky dining seat solution for a kitchen diner or dining room then a couple of our new dining benches could be right up your street!